Our motor controller has outputs for 2 motors. It gets power from USB. The phone talks to this over bluetooth. Here is how we will wire from one port on the controller through the relays to the trolling motor. This is called an H-Bridge. When the Forward/green wire is on the battery is connected to the motor red-red and black-black. If the Back/purple wire is on then they are switched red-black and black-red. The controller should never have Forward and Back on at the same time. To be safe we will probably have the software always go to stop between Forward and Back so both are off for a bit during transitions. 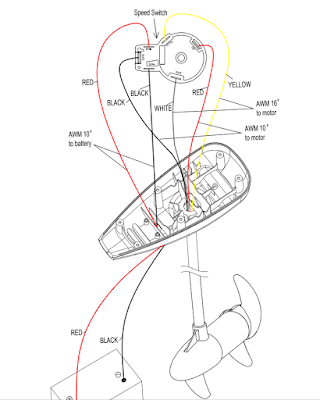 This is a drawing of the inside of the trolling motor. 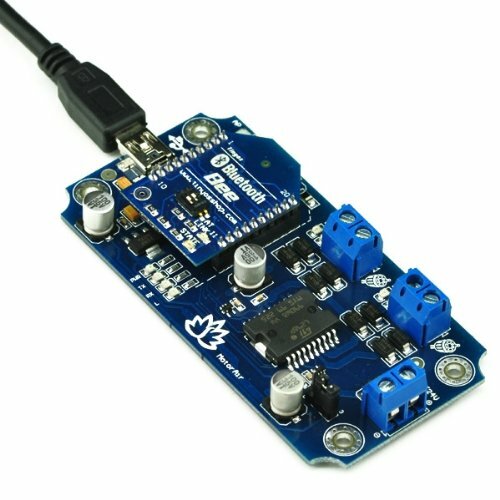 I have some hope that if the speed controller is on max that the input power goes directly to the motor but we may have to open it up and bypass the speed controller. I am told the red and black going down the shaft are the key wires to the motor. Not sure what the Yellow and White wires going down the shaft are for. Since there are 2 motors we have to do the above wiring twice, but even so this is really simple electronics for a rather capable robot boat. 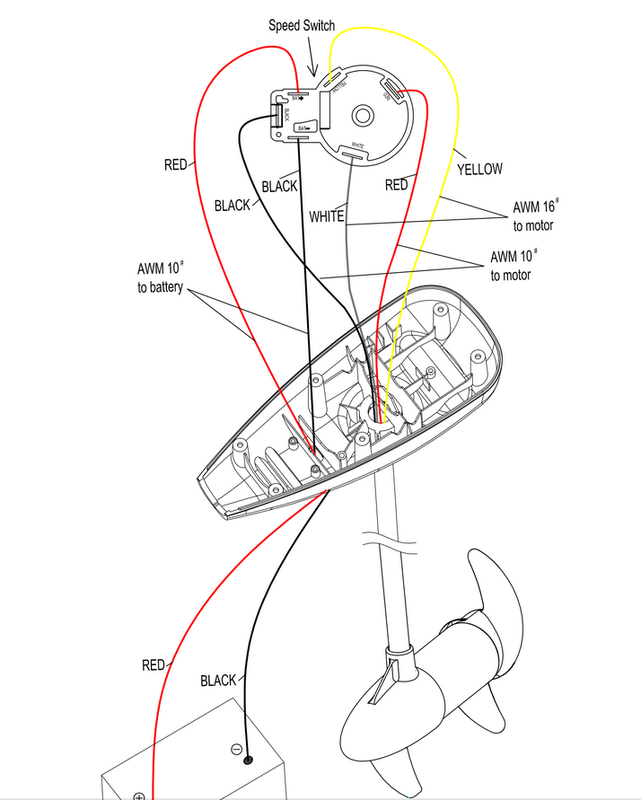 Being able to run motors both forward and backward will give us extra steering power at slow speed and also let us control which way the boat points even if one motor fails. With the daggerboard if we do our testing up-wind from home the boat could drift home even if one engine fails. It is upwind all the way to Africa from Anguilla. There is usually good wind, so drifting should be reasonably fast. We can do smaller upwind tests to Scrub Island, Flat Island, and St Barts.